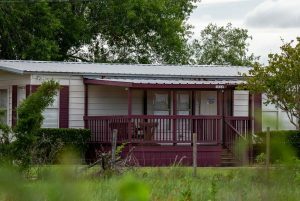 According to a recent class action lawsuit filed on behalf of 30 children in a federally-funded shelter, migrant children are routinely being given psychotropic drugs without their parents’ consent. Using powerful medications to control young children is cruel and unacceptable, a practice Children’s Rights has long fought against in American foster care systems. It is yet another traumatic experience for migrant children, and it must stop. One 16-year-old girl from Honduras reported that she was improperly medicated with powerful psychotropic drugs. She came to the United States seeking asylum, having survived sexual assault at the age of 5 and watching her father’s murder a few years later. An unaccompanied minor previously separated from her mother, she found herself in a detention center in Texas. That center is where she was given psychotropics, according to the lawsuit filed by Los Angeles-based Center for Human Rights & Constitutional Law. As the girl told the LA Times, the medication “makes me feel dizzy and sometimes makes it hard to concentrate…. Sometimes I have no desire to do anything. I just want to be with my mother.” The lawsuit alleges that an uncertified doctor provided her and over 30 children, some as young as 11 years old, with powerful psychotropic medications without consent from their parents. In sworn affidavits, children have reported being threatened that they would not see their parents unless they took the pills. Others reported being tackled and held down to be given injections. One boy suffering from side effects of the medication gained 45 pounds in 60 days, on top of severe nausea and restricted physical movement. Another boy reported taking up to 18 pills in a day, often mixing multiple antipsychotic drugs against FDA guidelines. Instead of proper therapeutic care to assuage their trauma, young children are given medically dangerous short-term treatments with long-term consequences. As the US government struggles to meet court-mandated deadlines to reunite migrant children with their families, detention centers are failing to take proper care of children in custody. Far too often, drugs have been used in the American foster care system as a means to control and tranquilize children rather than treat mental health problems—and Children’s Rights has been on the front lines of this issue. The roadmaps for foster care reform that Children’s Rights negotiated in New Jersey, Michigan, and Tennessee prohibit child welfare officials from using psychotropic medications as a method of discipline or control for any child. Most recently, Children’s Rights brought a suit against the state of Missouri for its oversight failures in the overprescription of psychotropics to kids in foster care. No child should ever be subjected to this use of drugs as a chemical straightjacket. As the Trump administration scrambles to reunite migrant children with their families, it is critical that that children in federal custody are treated humanely—not improperly prescribed powerful psychotropic drugs.